The Gypsy's Guide: London, Baby! And Wales! And Ireland, too! London, Baby! And Wales! And Ireland, too! This week I got confirmation that I'll be headed back to the UK and Ireland in May. 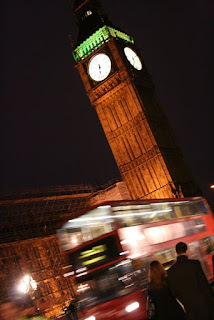 I was just in London in October with The Gypsy's Husband, but I am always happy to go back to London. And Ireland and I are becoming best of friends, too. But this time I'll be taking a quick trip through Wales and arriving in Ireland by ferry! Very fun! I've been thinking about the UK and wishing I was there this week. They are in the midst of a historic, snowy cold snap which is making for some incredible photography. Stay warm all you Brits! And as I start to prep for my trip, you know I'll be getting into my map. London, Baby! What are your travel plans for 2010? According to Vagabondish, all you Brits are staying warm, but in less-than-innocent ways. Hmmm... Check out Brits Respond to Record Cold Snap with... Mass Infidelity? It's not THAT cold, people! I miss traveling so much. Lately the only place I get to go is the grocery store! I love traveling, I love to experience more beautiful places, to meet different faces and different cultures, travel is hobby, most likely I love it. You're fortunate to travel to London. I want to travel there too this year. Hope you'll have a great trip!